Kurdistan Press Agency (Kurdpa): A human rights activist’s husband and mother received summons from Iranian Intelligence Service in the city Sna (Sanandaj). According to reports received by our agency, having received summons from Iranian Intelligence Service in Sna, Sahar Kazemi’s husband, Madeh Fathi, and mother, Mahoosh Amiri, were arrested by the same office’s foces. 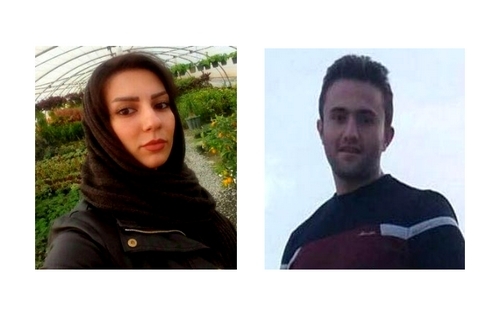 Madeh and Mahoosh were arrested while the Iranian Intelligence Service in Sna had informed Sahar’s family a month ago that Sahar would be temporarily released soon, a source close to Sahar’s family told our reporter. In November 2017, Madeh Fathi, Sahar’s husband was under arrest of Iranian intelligence Service in Sna and spent almost three months in solitary confinement. On August 9, 2018, Iranian intelligence forces raided Sahar’s house and captured her after have inspecting her house. Sahar has been deprived of having access to a lawyer and the right to in-person family visit during her arrest.